Looking to the runways of New York and Paris for fashion inspiration sometimes feels like a fool's errand to me. I've seen enough muppet coats, 8-inch heels, and capes to know that the top fashion houses aren't really designing with everyday wear in mind. Runway beauty, on the other hand, is a whole different story! This year's crop of Spring trends were inspiring, and easy enough to actually try at home. Over the next few weeks, we'll give you helpful tips to find the best products to recreate these runway looks. As Pantone's Color of the Year, it's no surprise that Radiant Orchid was well represented on the runways for spring. 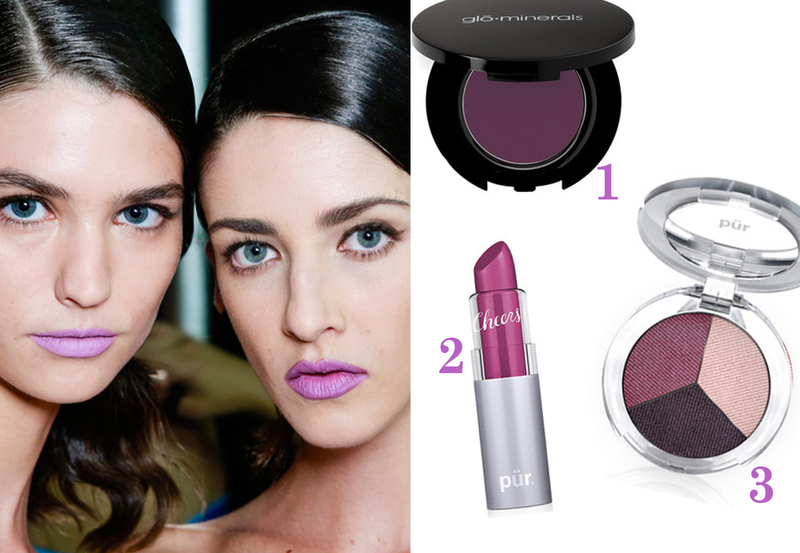 This pinkish purple shade showed up on lips, cheeks, and yes, even eyelids. One of my favorite iterations were the bold, Barbie hued lips at Prabal Gurung, which were kept clean with bold brows and slicked back hair. For Radiant Orchid, stick to one area of makeup for just a pop of color. Try a unique monochromatic look by wearing it on your eyes, lips, and even nails! Keep it clean and simple like our runway inspiration for a chic statement. Be sure to check out more Radiant Orchid makeup to find your best look. Plus, get 20% off makeup for a limited time. Use code: FACE20 at checkout.